President Obama promised to fight corporate concentration. 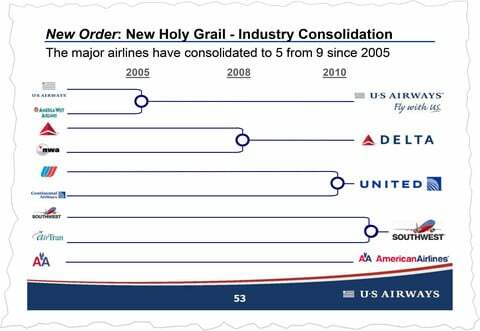 Eight years later, the airline industry is dominated by just four companies. And you’re paying for it. Some lawyers and officials who worked on the American-US Airways case now say they were “appalled” by the decision to settle, as one put it. “It was a gross miscarriage of justice that that case was dropped and an outrage and an example of how our system should not work,” said Tom Horne, the former state attorney general of Arizona, one of seven states that were co-plaintiffs with the federal government. Obama’s antitrust enforcers have been somewhat more aggressive than the Bush administration in challenging mergers. But that has come in the face of a record-breaking wave of often audacious deals. Nor has the Obama administration brought any major cases challenging companies that abuse their monopoly power. It approved three major airline mergers, for example, leaving four companies in control of more than 80 percent of the market. In the American-US Airways case, Emanuel emerged as one of the deal’s biggest champions. He was in regular contact with the CEOs and lobbyists for both airlines. The letter was an uncanny echo of the airlines’ arguments – for good reason: It was actually written by an American Airlines lobbyist, emails obtained by ProPublica show. Meanwhile, the airlines dispatched another valuable asset: An adviser on the deal, Jim Millstein, was both a former high-level Obama administration official at Treasury and a friend of Deputy Attorney General James Cole, the No. 2 at the Justice Department. Millstein said Cole told him that the government was open to settling the case – a position at odds with the Justice Department’s public stance. The two spoke about the case on social occasions, such as “after finishing a round of golf,” Millstein said in an interview. As Millstein and Emanuel pressed the administration, the airlines spent $13 million on a phalanx of super-lobbyists, including Heather and Tony Podesta, to marshal support in Washington, records show. Another Democratic lobbyist, Hilary Rosen, also reached out to the White House. 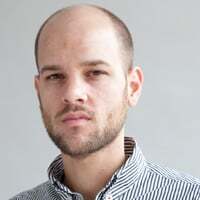 But the abrupt move to settle was met with a backlash among the team building the case, according to interviews with four lawyers and officials who worked on the case. Some Justice Department staff attorneys who built the case against the merger were dismayed when they were summoned by a superior to a conference room at the Antitrust Division’s Judiciary Square offices and told the case was done. Indeed, government investigators had uncovered documents showing airline executives crowing about how mergers allow them to charge travelers more. 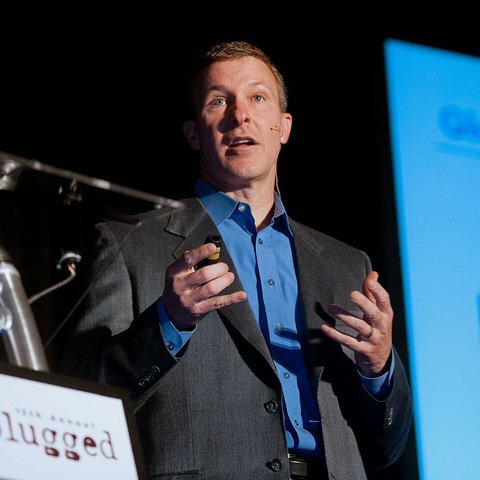 “Three successful fare increases – [we were] able to pass along to customers because of consolidation,” wrote Scott Kirby, who became the president of the new American Airlines, in a 2010 internal company presentation. Economists say it’s difficult to prove definitively effects of a merger, and there’s been no comprehensive study of the American-US Airways deal. Still, there are signs that the concerns the government voiced in its lawsuit have become a reality. While the price of fuel – one of airlines’ biggest expenses – has plummeted by as much as 70 percent in the last two years, the industry has kept most of those savings for itself. Fares went down by just 4 percent in 2015 as U.S. airlines made record profits of nearly $26 billion. That’s in contrast to Europe, where the industry is significantly less concentrated and there is intense competition. The combined company, which operates as American Airlines, has steadily increased fees since the deal, one of the harms the Justice Department warned of three years ago. So-called Main Cabin Extra seats, for example, which went for an additional $8 to $159 in 2013, now cost an extra $20 to $280. Earlier this year, American also eliminated a discount fare program before bringing it back on “selected routes.” The rollback of the program was another thing the government had predicted. Wall Street has cheered the effects of the deal. A 2014 Goldman Sachs analysis about “dreams of oligopoly” used the American-US Airways merger as an example. Industry consolidation leads to “lower competitive intensity” and greater “pricing power with customers due to reduced choice,” the analysis said. “Our general sense based on the information we have is that the divestitures have had a positive impact,” the official said. “Unless their insatiate greed is checked, all wealth will be aggregated in a few hands and the Republic destroyed,” warned the 1900 Democratic platform of monopolies, echoing the Republican platform that year. The enforcement Kahn envisioned never materialized. The Reagan administration introduced new merger guidelines that were much friendlier to combinations of large corporations. Under the mantra “Bigness Isn’t Badness,” the Justice Department Antitrust Division became much more receptive to claims that efficiencies resulting from mergers outweighed any bad effects. The Sept. 11 attacks punctured a profitable period in the late ‘90s, pushing major airlines into a series of bankruptcies in which workers’ pay and benefits were slashed and companies’ debt was restructured. The Justice Department’s concerns were not just about prices. It was also worried that the American-US Airways merger would lead the combined company to reduce service or jettison plans for more routes. United even signed an agreement with the state of Ohio designed to guarantee the airline’s commitment to Cleveland, which had been a Continental hub before the merger. But four years later, United did just what Parker predicted, slashing more than half of its flights from Cleveland. Delta made similar cuts in Cincinnati and Memphis after its merger with Northwest. The DOJ’s Antitrust Division assigned roughly 30 lawyers and economists to work on the case. They faced off against an “army” at least four times that size, one government lawyer recalled. 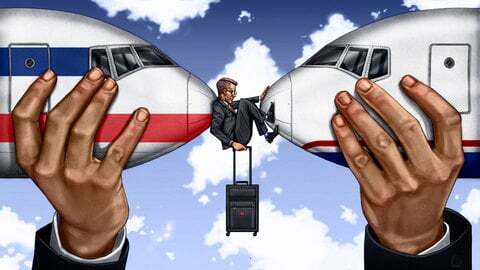 The airlines assembled top antitrust attorneys from five separate law firms, virtually all of whom had previously worked as government antitrust enforcers. American Airlines’ general counsel later estimated the company had spent $275 million on outside lawyers for its bankruptcy and to defend the merger suit. That doesn’t include US Airways’ spending on the deal. To handle the trial, the airlines hired Richard Parker of O’Melveny and Myers, a famously aggressive litigator and former high-ranking antitrust official at the Federal Trade Commission. “I told you he wasn’t here to play around,” one government lawyer wrote in an email to a colleague the day the complaint was filed, after Parker arranged to come in to meet DOJ lawyers at 10 a.m. the next day. The airlines also hired a team of over 30 economists from a consulting firm headlined by two academics who had previously done stints as the Justice Department’s chief antitrust economist. The Justice Department’s economists created their own models, coming to the opposite conclusions. It’s impossible to compare the models as they remain under seal. At the center of the companies’ lobbying effort were high-profile Democrats particularly well positioned to influence the Obama administration. Jim Millstein, the financial adviser on the deal who had left a high-level Treasury Department role in 2011, was dispatched “to assure the DOJ of our commitment to the consumer benefits we outlined in our case and our willingness to consider very significant concessions,” American Airlines said in a statement. Millstein had four in-person meetings, a phone call, and some email correspondence with his friend, Deputy Attorney General Cole. American Airlines CEO Doug Parker called the letter from Emanuel and other mayors to the Justice Department, which Emanuel’s staff gave to Politico, “incredibly helpful” and one of the most important elements of the airlines’ pushback against the government. The letter made a broad public interest argument, arguing for the deal “based on growth which benefits consumers and our communities.” But emails among Emanuel’s staff suggest he needed something from the airlines in return: help with a project to overhaul and update O’Hare International Airport. It’s not clear what, if anything, Emanuel ultimately received in return for advocating for the American-US Airways merger. The city redacted portions of emails in which the mayor’s aides discussed the matter. 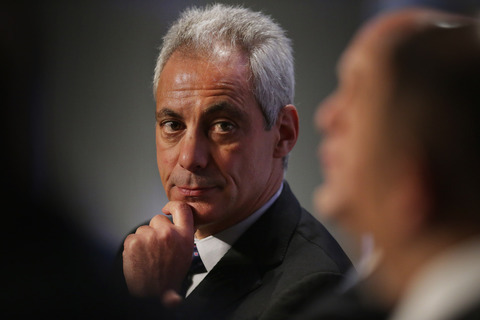 A spokesman for Emanuel declined to comment on the mayor’s conversations with the airline CEOs or on whether Emanuel raised the merger with Obama administration officials. “City officials wanted to ensure that the airline continued to be a good partner to the city, and that the residents of Chicago continued to benefit from the jobs and economic opportunities that the company provided,” the spokesman said. Though one of American’s core arguments for the merger was that the company needed to grow to compete more aggressively with Delta and United, the chief executives of those companies came out in support of the deal and further industry consolidation. A lobbyist for Airlines for America, the industry trade group, also pushed for it in settlement talks with Florida’s attorney general, emails show. Antitrust observers say the industry-wide support reflects the idea that, post-merger, reduced competition would benefit all airlines. Organized labor often opposes mergers because the “efficiencies” touted by Wall Street can be a euphemism for job cuts. But in this case, US Airways executives won the backing of the American Airlines pilot, flight attendant, and mechanics’ unions in exchange for promises of better contracts. Flight attendants union chief Laura Glading was the most active labor figure campaigning for the deal, crisscrossing the country to meet with editorial boards and state attorneys general who had joined DOJ’s suit. Appearing at a Capitol Hill rally in her flight attendant uniform, she offered a different perspective and image than the company executives in business suits. Horne, a conservative Republican, invoked Adam Smith’s The Wealth of Nations in explaining why he joined the Obama administration in challenging the deal. Soon after the complaint was filed, Horne says his political consultant was told by a lobbyist that $500,000 would be spent on ads against Horne in his upcoming primary if he didn’t drop the suit. When the Justice Department moved to drop the case, Horne felt he could not continue to contest the merger on his own. His office didn’t have the resources to go up against two giant companies. The first public indication that the Justice Department’s resolve was weakening came in early November, just three weeks before the trial was set to begin. 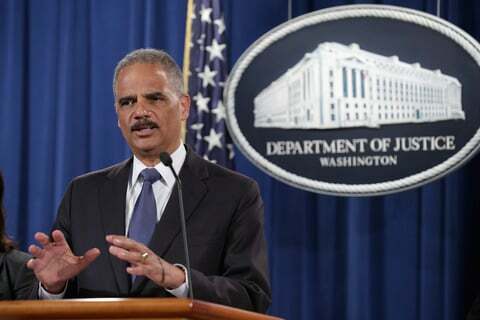 Attorney General Eric Holder was asked about the case at an unrelated press conference. “We hope that we will be able to resolve this short of trial,” he said. The comment caught many observers by surprise. One lawyer involved in the case called it “bizarre” for the attorney general to publicly signal his support for a settlement in the midst of negotiations. A week after Holder’s comments, the Justice Department announced it was dropping the case in exchange for modest concessions. Before the merger, the two airlines controlled more than two-thirds of all takeoff and landing rights at Reagan National Airport. The settlement required the combined company to give up less than 15 percent of the slots at the airport along with others at New York’s LaGuardia, which ultimately went to JetBlue and other airlines. In the three years since the DOJ settlement, American has slowly worked to integrate US Airways’ operations into its own. While that process still hasn’t finished, it’s possible to take some stock of what’s happened, both to the main players and to consumers. 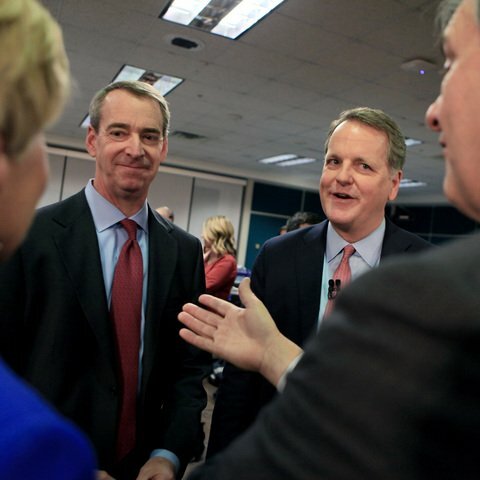 The combined company has 10 percent more employees than it had at the time of the merger and the two companies’ CEOs, Doug Parker and Tom Horton, each received over $15 million in bonuses for completing the deal. 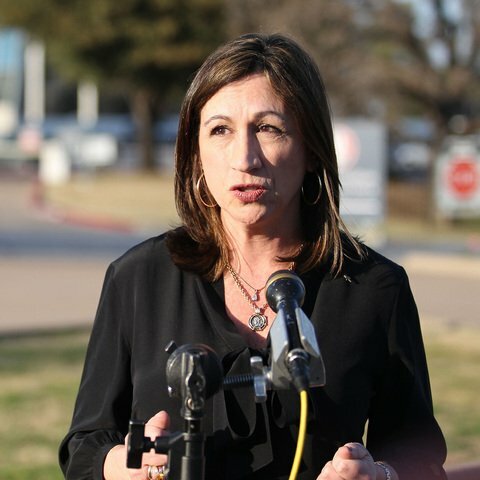 Glading, the flight attendants union chief who was the face of labor support for the merger, quit last year and went to work as a consultant for American, a move the union blasted as a “disgusting betrayal.” She’s since taken a job at the Federal Aviation Administration and did not respond to requests for comment. The industry has been raising fees for a decade, so it’s difficult to say how the merger affected the rate of such increases. But American brought in $4.6 billion in ancillary revenue (fees and sales of frequent flyer miles) in 2014, well more than the $3.1 billion American and US Airways earned the year before the deal, according to the research firm IdeaWorks. The Justice Department’s complaint predicted the merger would prompt the end of US Airways’ Advantage Fares program, which competed with other carriers’ lucrative nonstop routes by offering aggressively discounted one-stop options. The program allowed flyers to save hundreds of dollars on, for example, the Miami to Cincinnati route. American’s statement acknowledged the airline has not studied if these predictions have come true. The company also said in a court filing that “thousands” of new routes would be created. Today, American says there are just 1,600. And it’s not clear these are routes many travelers actually want to fly. Have information about the airlines or another antitrust matter? Please email [email protected]. Reporting contributed by Jesse Eisinger and Olga Pierce. Design and production by Hannah Birch and David Sleight.